South African wines can be harder to find than a white rhino–at least that’s what it seems like when you look at the local wine scene. There is a reason for that. South African wines currently account for less than two percent of American wine imports. That is a puny number for a country ranking eighth in global wine production, just behind Australia. So who is drinking South African wine? The Brits, the Europeans, and increasingly, the Asian world. Fortunately, some excellent labels still make their way to our shores and more arrive every year. Let’s take a little wine-safari to some vineyards within South Africa’s vast landscape and sample a few drops along the way. While vineyards range across hundreds of miles from east to west, most of them are in the southern tier of the country—putting many of them under the cooling maritime influence of the Atlantic or Indian oceans. Trivento winery lies in the heart of Argentina’s famed Mendoza wine region. 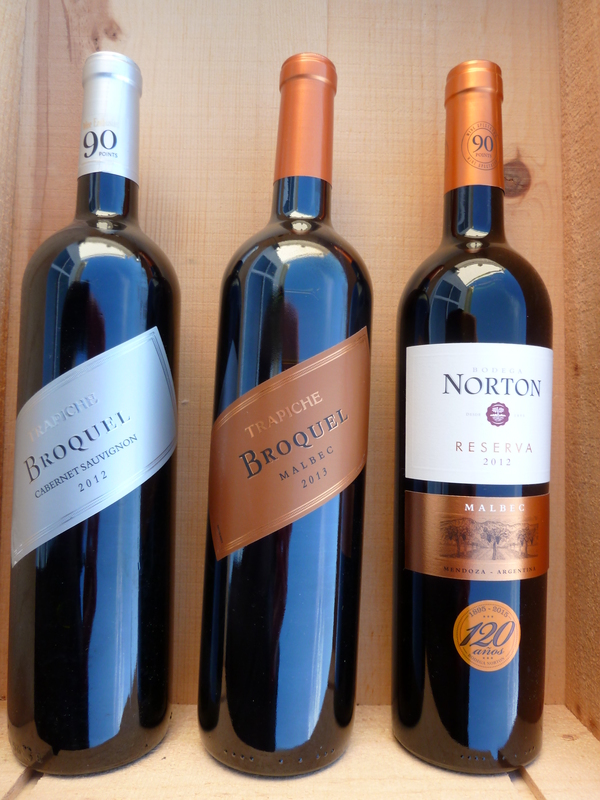 It’s fair to say that Mendoza is the Napa Valley of Argentina—with a couple of big differences. Land in Mendoza does not cost a kings’ ransom like it does in California–so production costs are lower right from the start. And Mendoza grape growers have an abundant supply of pristine water from the snowmelt of the Andes. The vineyards of the region are also blessed with almost constant sunshine and because of their high elevation, very few pests. 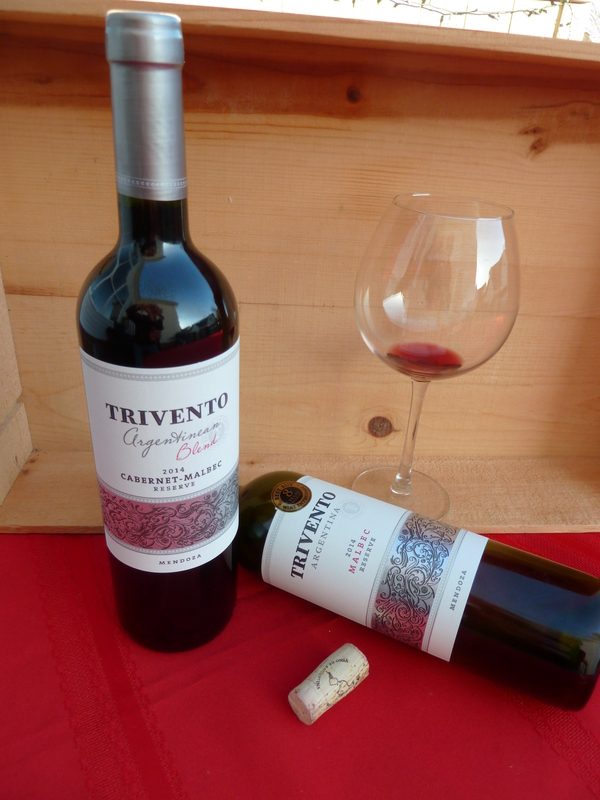 Trivento, (named for the so-called Three Winds of the Andes foothills) production includes a line of popular labels, including a Malbec and a Cabernet Sauvignon/Malbec blend. Both wines are “reserves”–indicating select grapes and extra love at the production end. Malbec is considered a noble wine in Europe (one of only six varietals allowed in robust fruit, and well integrated tannins. And Trivento’s Cabernet/Malbec 2013 blend? A marriage made in Heaven. Trivento reserve wines, about $11. 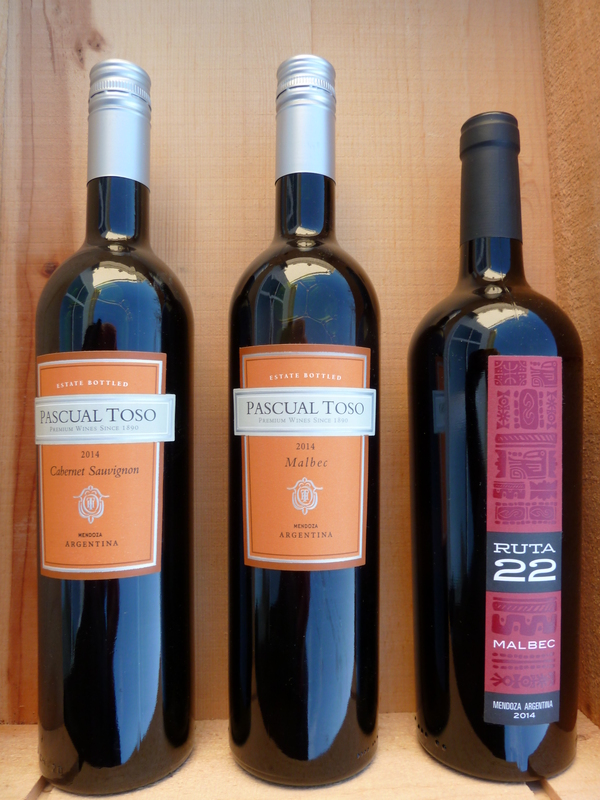 Trade up to Trivento Golden Reserve Malbec, 2013. Plenty of good malbecs come out of Argentina’s Mendoza wine region; still, the 2013 Bodega Trivento Golden Reserve malbec is a stand out. 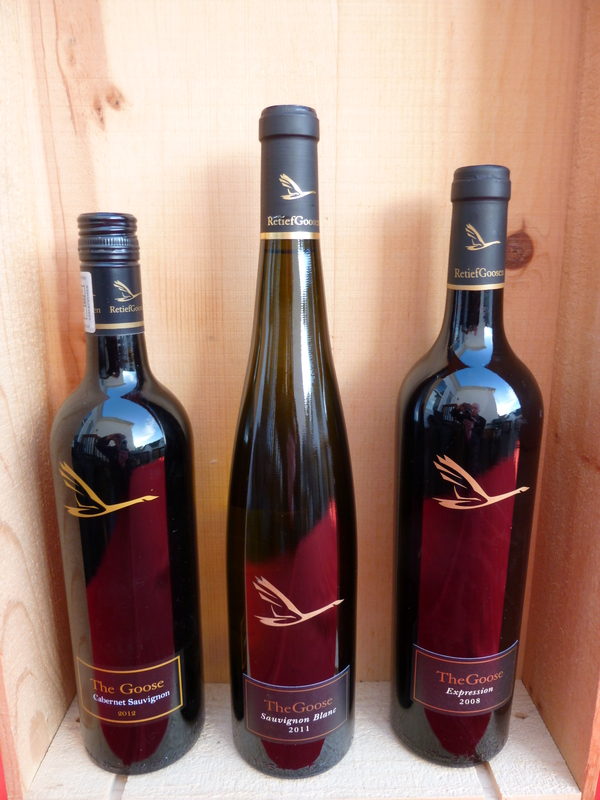 Sourced from pristine high-altitude vineyards, the grapes are hand-picked and vinified in a specially designed winery. The juice spends twelve months in French oak barrels and another twelve months in the bottle before release. The result is a wonderfully aromatic premium wine loaded with fruit, and beautifully balanced. A product of Chile, Casillero del Diablo takes its name from the quaint legend of a wealthy man who kept his wine safe from light-fingered servants by telling them that the devil lived in his wine cellar. No devils here. Cassillero del Diablo has always been a great wine at a great price, but their newly released 2015 Sauvigon Blanc and Rosé are attention-getters.